supertalk has been online continuously since 2003. it’s had a huge impact and influence on many people lives, careers, businesses and friendships. the supertalk community pre-dated social media and probably even helped define it. 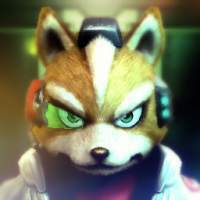 it is one of the most unique and one of the longest surviving online communities still operating. 01 supertalk is increasingly getting very complicated to keep online... especially this year. 02 the main issues are financial, technical, and day to day management. this in an environment that is now controlled by algorithms, security issues, regulations, social media, and with google and facebook at the pointy end of the pyramid vacuuming the traffic, content, and revenue streams of the few remaining independent operators. 03 issues are not unresolvable but under the current status quo supertalk is in a frustrating state of slow motion. 04 therefore i’m looking for proposals from members or others to not only keep supertalk online but to give it the resources to develop, expand and compete in the ever increasingly feral internet. 05 alternatively supertalk will eventually go offline. 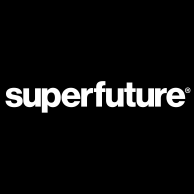 01 supertalk will now operate independently from superfuture and can potentially spin off as a future separate business entity. 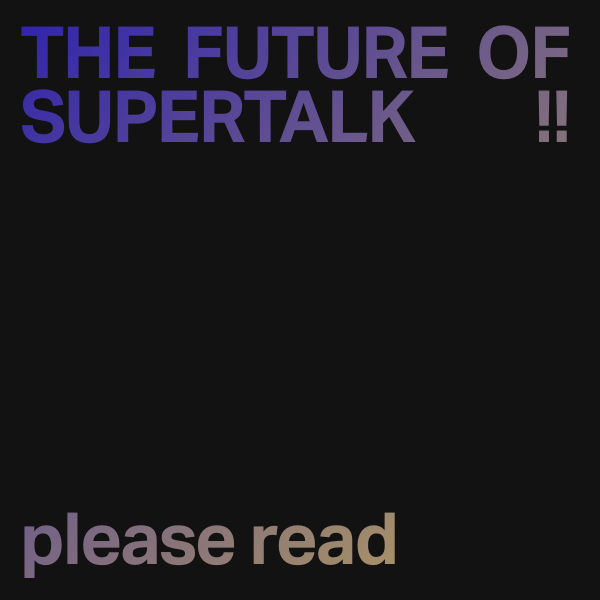 02 superfuture has stopped subsidizing supertalk. 03 supertalk is now open for potential partners or investors or for buyout of any potential future entity. it might be an individual but ideally it should be a company either experienced with online communities / or an established brand aligned with supertalk content with a solid team who think they can transform supertalk in a relevant and new way. they need to be able to develop the sponsorship, marketing, editorial, social media, classifieds, membership, newsletters, and shopping etc. and have technical and design skills to manage day-to-day operations. producing supertalk requires a huge set of skills and / or the income stream to delegate to others. i want to continue involvement, though i also need to prioritize my workload which is spread extremely thin lately. in the past i used to have a lot more support but supertalk has largely been a 1 man operation the last year or so which has become exhausting and limiting. apart from supertalk i’m also needing to spend more time on the travel side of superfuture and i’m having to manage a lot more consulting type projects to keep everything going. i’ve just been traveling over the past 2 months which gave me time to think a bit clearer and i can confirm that after 15 years of supertalk for me it’s definitely time for some change in direction. it could do with some new fresh eyes to run this spaceship. it ideally needs an entire re-startup team and i’d take a step back to an advisory role. it could even be time for supertalk to be completely re-branded. i know plenty of things that need to change but it is no longer possible to do this without a much bigger team. this should be seen as an incredible opportunity!! at this point what happens from now depends on feedback. all comments welcome. if you want to discuss privately then just PM me. please share with your contacts or other members who haven't been online for awhile. i know many of you work for companies who may be good matches so please also share with colleagues. As for solving financial difficulties, perhaps follow in the steps of Are.na (another anti-social media/forum) and accept angel investments for a minimum of $100 from members. Maybe that would help in finding technical help to keep the site running and stop the constant Error 404 pages. thx. will look into it further. explored this years ago and advice was that it wasn't possible to do. but if supertalk becomes a separate business entity then it might be. This is so unbelievably sad. So many years on this forum! Say it ain’t so!